Financial advice and training are extremely beneficial for vets returning home, and grants are a huge help for veterans starting a business. Whether you want to start a fast title loan company or a Mediterranean-themed restaurant, different funding options can help veterans establish themselves in different ways. Coming back home is challenging, and starting your own business will be difficult, but financial help is available if you need it. * Spouse of any veteran or active-duty service member; or widowed spouse of a service member who died in service or a service related disability. * Boots to Business: An entrepreneurial education and training program, the U.S. Small Business Administration (SBA) created Boots to Business to provide business ownership fundamentals to veterans. This two-step education and training program is completely free. Students will participate in a two-day introduction and an eight-week course. * Grants.gov: Grants.gov is the number one place to go to find federal grants for veterans. When you search for grants, make sure to use ‘veteran’ as a keyword. You can even track your application once it’s submitted. * Hivers and Strivers: An Angel Investment Group, Hivers and Strivers focuses on early-stage investments to support start-up companies for veterans. 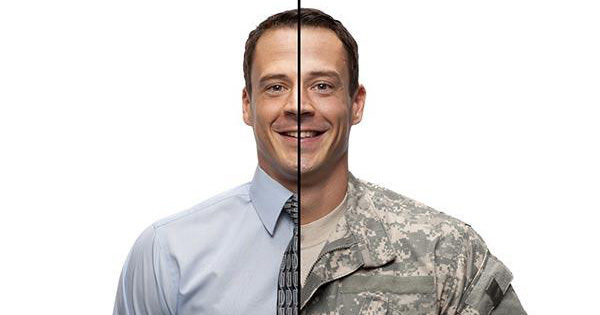 Most of the investors have served in the military and are successful senior executives in a range of industries. Their investments range from $250,000 to $1 million per round. * The Office of Economic Development (EDA): The Economic Development Administration offers technical assistance, grant help, and other resources. Their grants change constantly, so make sure to keep checking in with them. * The StreetShares Foundation: With a mission to inspire, educate, and support veterans and their small businesses, StreetShares is a huge help for veterans starting a business. They give awards to deserving applicants, ranging from $4,000 to $15,000. They also offer term loans, lines of credit, and government-contract financing. The foundation even has free programs, tools, and resources available. * VetBiz: The Department of Veterans Affairs uses VetBiz to certify veteran-owned small businesses. If you want to apply for business grants, certification is absolutely necessary—certification also makes you eligible to win federal contracts. At this point, there are more than 14,900 VetBiz-verified businesses. * Veterans Business Outreach Center Program (VBOC): VBOC provides entrepreneurial development services like counseling, business training, and resource partner referrals. The center also provides a host of services, including counseling, training courses, and pre-business plan workshops.